Aircraft Transponder / DME Antenna. P/N 56-80-01. 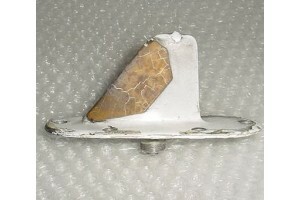 Aircraft Transponder / DME Antenna. Manufactured by Trivec. P/N 56-80-01. Alternate P/N 100-384129. NSN: 5985-01-235-0030. It was removed from a salvage aircraft. Cosmetically poor but it can be cleaned and painted.